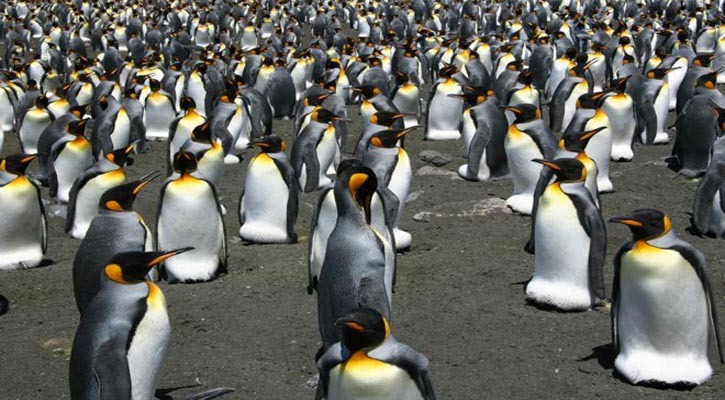 Risingbd Desk: King penguins are in deep trouble if nothing is done to constrain climate change, researchers say. "Marion and Prince Edward islands, and Crozet island will have the biggest difficulty in the next 50 years, I would say. These are major population centres," Dr Le Bohec said. "But if we continue with the addition of greenhouse gases then Kerguelen, Falkland and Tierra del Fuego islands will also have difficulty." Independent tracking and breeding success data from Crozet and Kerguelen showed that the birds failed to breed in those years when the front temporarily moved too far south, he said.